They are needle-felted, with a brooch pin attached to the back to secure them to clothes or bags. 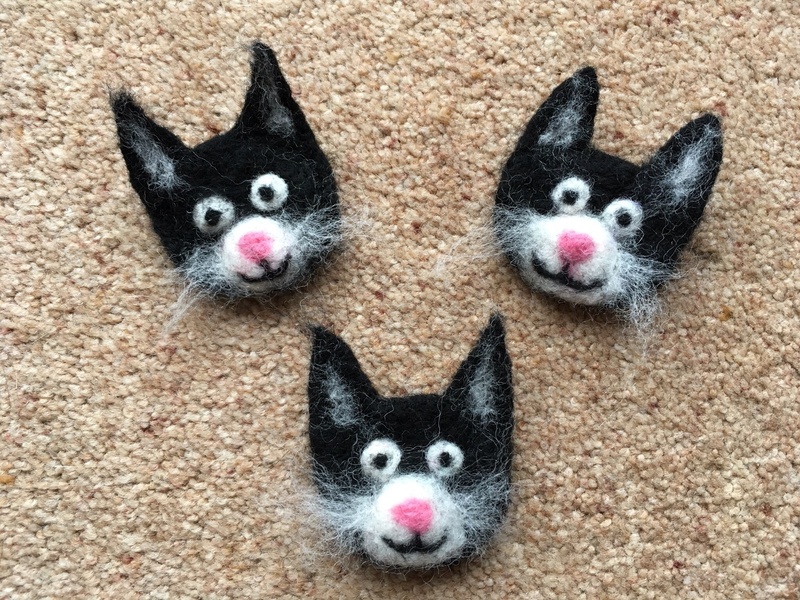 I wanted these kittens to be similar, but you could make them in any size or colour, and every one has a unique character – so many possibilities! Have you done any needle-felting? What have you made? I’d love to hear about it! This entry was posted in Uncategorized and tagged Brooch, Cat, Felt, Felted, Kitten, Needle-felted, Pin. Bookmark the permalink. I found my way here via Barb Owen at How To Get Creative. Your kittens are fantastic! Such a wonderful gift.